Samsung seemingly set the tone for everyone else last year when they unveiled the Galaxy S4. Glazing over the specs sheet, it seems as though the S4 managed to exceed its predecessor in every single category. The phone received a higher resolution screen, faster processor, and even a beefier camera, but looking at the battery, it didn’t receive as much of a substantial upgrade. Well folks, as we’ve come to know, this LTE-enabled smartphone can deplete its 2600 mAh battery if you’re not too careful. 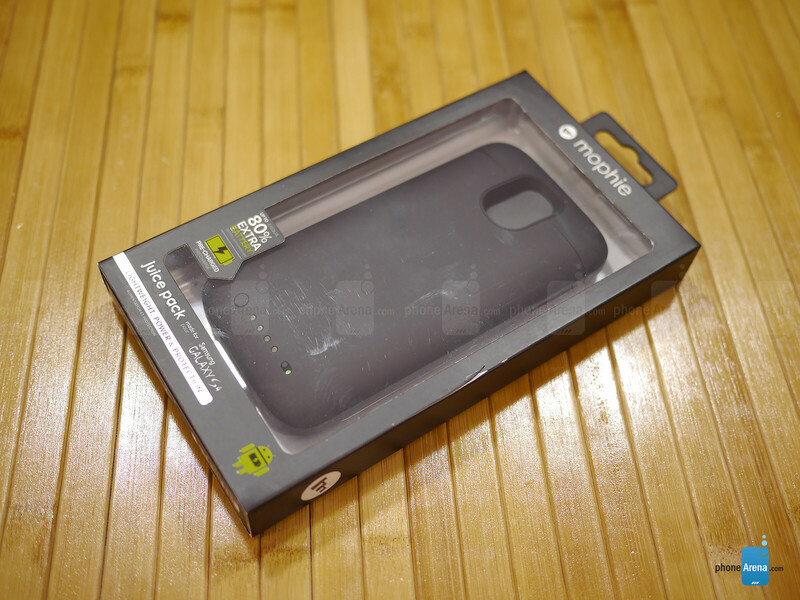 For those owners who yearn for a longer battery life, the Mophie Juice Pack battery case is an option to think about. 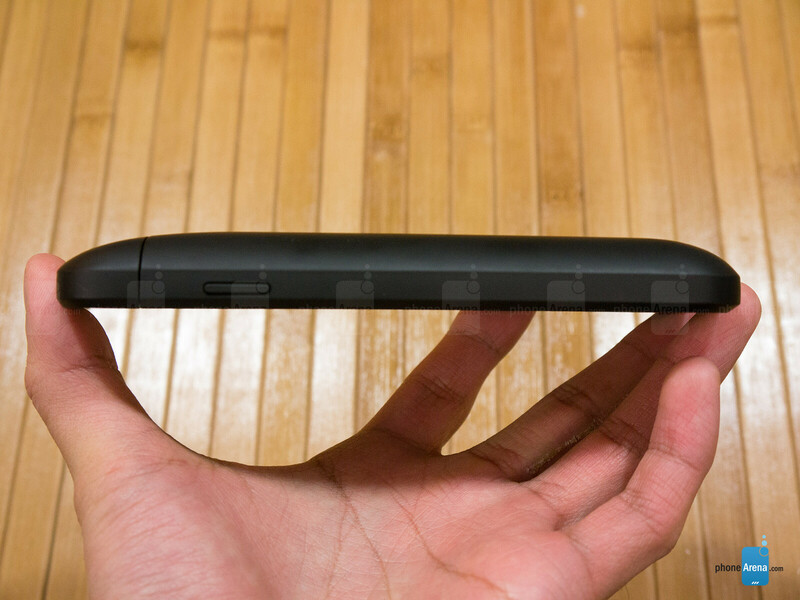 Faithful to Mophie’s line of cases, it’s nice to find that its thickness isn’t out of control. This isn’t the first time we’ve reviewed a Mophie battery case, seeing that we checked out the Juice Pack Air and Juice Pack Plus cases for the iPhone 4/4S. 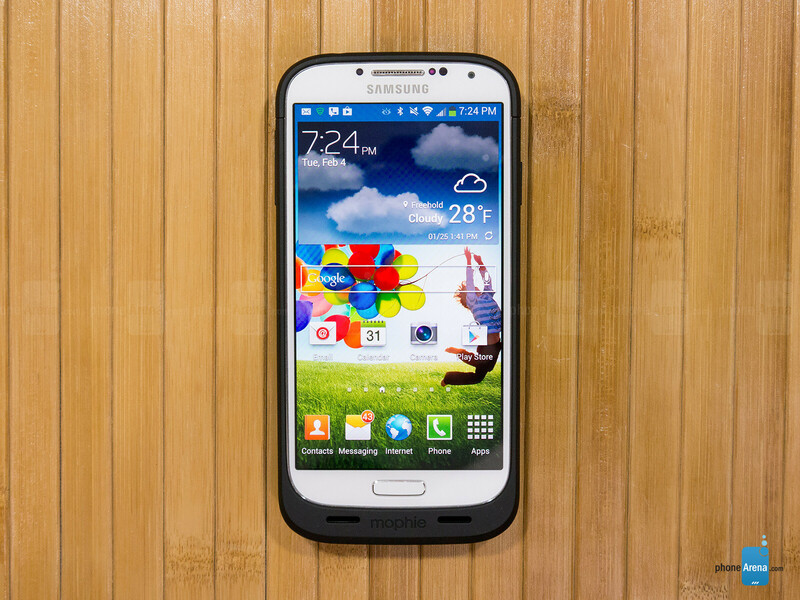 For the Galaxy S4, the design remains faithful – albeit, it looks rather plain and predictable nowadays. Basically, it’s a plastic case that has a soft touch matte finish to it. 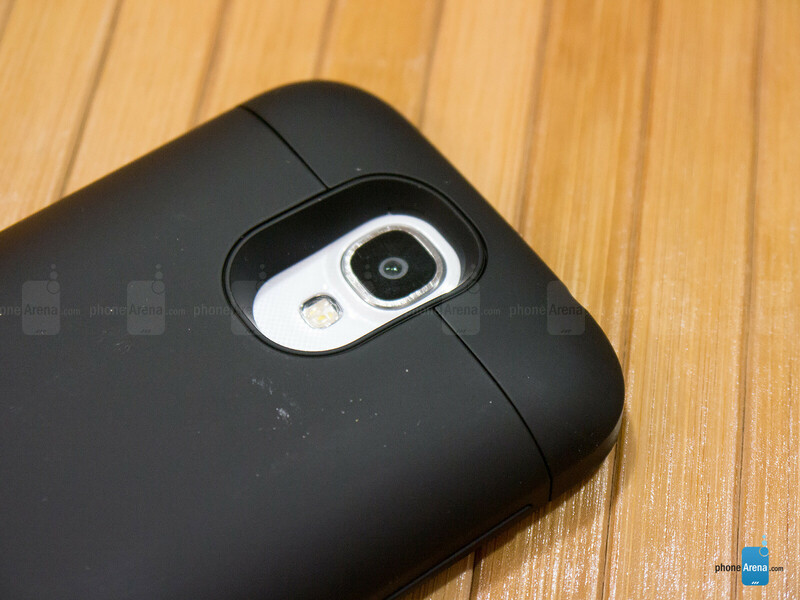 With the curved edges of the case, it matches the design aesthetics of the Galaxy S4, which makes it very comfortable to grasp. Although the design isn’t daring or tries to move things into a totally new direction for Mophie, we’re most astounded by how streamlined the case is in comparison to the older iPhone 4/4S cases we reviewed. On top of that, the bezels around the phone have been kept skinny as possible to maintain the handset’s svelte looks. However, despite the improvements, there’s a noticeable amount of weight, which isn’t a bad thing per se, since it gives the entire thing a very sturdy feel. 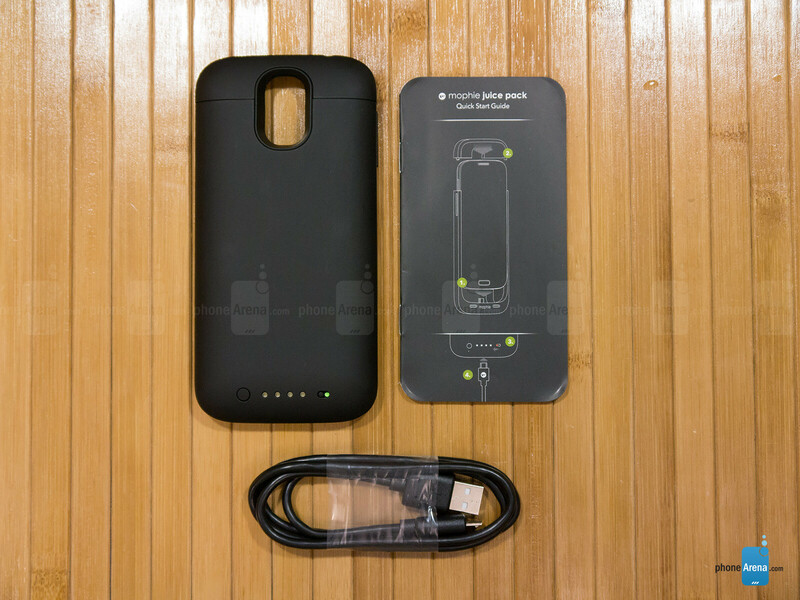 Surprisingly, even though the Galaxy S4 is encased tightly within the Mophie Juice Pack case, all of its ports and buttons are easily accessible. Some cases tend to stiffen up buttons, but with this, the power and volume controls are just as springy as before. Cutouts are found throughout the case for its microUSB port, 3.5mm headset jack, rear camera, microphones, speaker, and IR blaster. With the 3.5mm headset jack, though, the hole itself is pretty tight – so fatter cables might not connect properly without the aid of an adapter. In the rear, there are 4 LEDs that visually tell us how much juice is left in its battery, a recessed circular button that lights up the corresponding LEDs, and a switch to initiate the charging process. Got the white one for my S3 for $40 on Groupon and it's probably the best accessory I've ever purchased for my S3. I still don't understand why you would buy a charging case for a phone with a removable battery. Either get a second battery, or better yet, get an extended battery. The ZeroLemon batteries are great, offer more life, and won't fry your current battery by constantly charging it. Who wants to carry around a separate battery? An who wants to continually have to open a phone to replace a battery? As for "constantly charging it", that's not accurate. YOU control when the Mophie battery recharges your phone's battery. To maintain healthy phone battery health, wait until your phone shows 5% battery remaining, then recharge it using your Mophie. Easy.